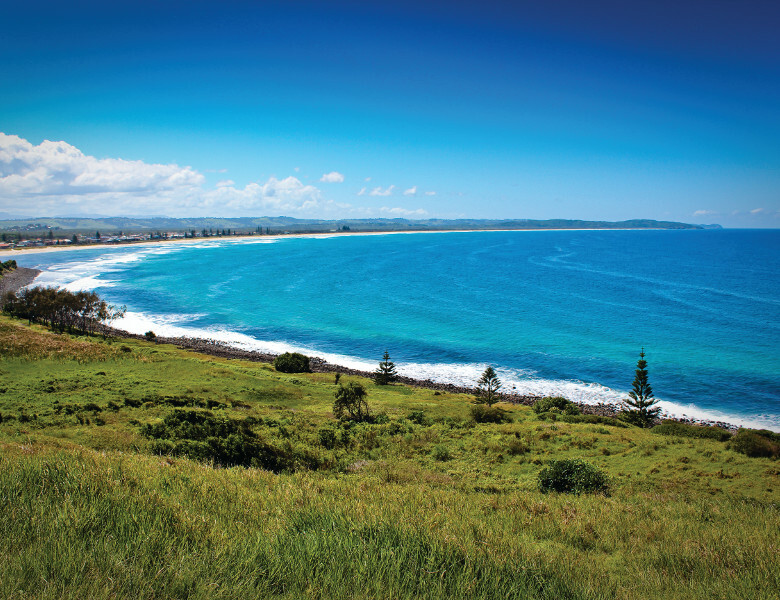 Located on the top of Lennox Point, Pat Morton Lookout has extensive views out to the Pacific Ocean and north stretching up Seven Mile Beach. An ideal whale watching spot (during whale season) and perfect for spotting dolphins, it is also the best vantage point for watching the surfers at its famous right hand break. You can also go hang-gliding of the top of the lookout and see the magnificent views from the sky looking down along the coastline and Lennox Head's township. Go for a hike to the top of the lookout around the back towards Boulder Beach where your breath will be taken away with the magnificent clifftop views overlooking Boulder beach and views of our iconic coastline. Or take a walk from Pat Morton Lookout along the coastal path into Lennox Head where you can visit the unique boutique stores and various cafes and restaurants. You can also go hang gliding from here taking in the magnificent views of the sparkling Pacific Ocean and coast.